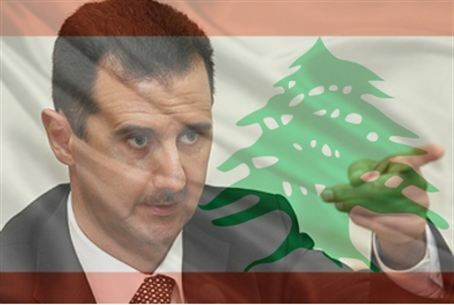 Syria believes that rebels seeking to unseat President Bashar al-Assad are getting weapons from Lebanon. Tension has been increasing on the border between Syria and Lebanon in recent days, a report in the London-based Arabic language al-Sharq al-Awsat said Thursday. Syrian soldiers have increased their patrols along the border, and earlier this week a Syrian warship opened fire at two Lebanese fishing boats. The reason for the tension: Syria has accused Lebanon of smuggling weapons across the border for use by rebels who are seeking to unseat Syrian dictator Bashar al-Assad. A Lebanese security official told the paper that his country's army had caught smugglers trying to bring weapons over the border several times already. The smugglers were arrested and are being prosecuted. However, the official said, the smuggling is being done by profiteers looking to make easy money from the civil strife in Syria; there are no organized groups aiding the rebels for political motives, he said. Hizbullah, which is squarely on the side of Assad and his forces, has accused the opposition March 14 Coalition of smuggling the weapons and trying to turn Lebanon into a forward attack position in the war to unseat Assad. Hizbullah said that the government officials in Lebanon are behind the smuggling.